Journey to the Pongo de Mainique Peru. Chapter 5 page 7: Expedition Photography. 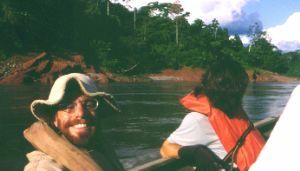 Heading down the Urubamba River from Timpia. This is the last page of Chapter 5 ! Go on to Chapter 6. Go To Chapter Six Timpia to Sepahua and Pucallpa.